- Wonderful design and really comfortable to hold. 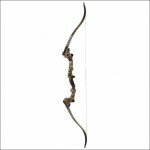 - Accuracy and reliability are just amazing – on par with recurve bows that cost three times as much. We all have at least one treasured childhood memory, don’t we? Most companies on the market wouldn’t be able to say that they pour their hearts into every single product they make. 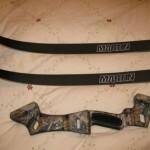 Martin Archery, however, can say that with complete confidence. I have never picked up a bow designed by them, be it a recurve or a compound, that didn’t feel like it was designed by a genius in the field. 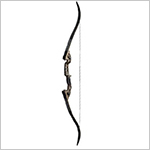 I believe that this is the best available budget introductory bow, which will help acquaint any beginner archer with the world of traditional shooting and get them excited enough to actually pursue the sport. The first thing that will strike you when you see it in person is just how beautiful its design is. The riser is amazing and has a very modernistic feel about it, which I personally find to be a really good contrast to the overall simple design of this traditional bow. That’s probably one of the main reasons I decided to make this Martin Jaguar review. The bow is very easy to disassemble as well, which is not always true with other take-down recurves – in this case, it’s two screws and you’re done, won’t even take a minute and there’s no chance of accidentally breaking anything in the process. Just remember not to over-tighten the screws, as it can potentially cause damage to the limbs. If you’ve only shot wooden recurves so far, this bow – being part aluminum/magnesium – may feel a little unusually heavy for you at first. Don’t worry though, you’ll get used to the new weight very quickly, just give it a few shots and you’ll see. The arrow rest is of course adjustable. By simply tightening up a few screws, you can re-position the arrow rest to be either a little closer or a little further away from the riser. One thing worth mentioning here is that the arrow rest in this bow is made from plastic, and so it has a tendency to wear out with time, depending on what kind of arrows you use and how often you shoot. 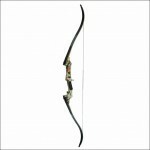 However, this is the case for most bows in this price range and it is always to be expected. If this becomes a problem for you, you can always solve it by getting a new, sturdy arrow rest for $3-$10. As you’d expect, these are made from wood and laminated with fiberglass, which makes the limbs resilient to bending; I’ve been using my Jaguar for a few years now and I can tell you that if you care for it properly, the limbs (as well as everything else for that matter) will provide you with years of faithful service. Back in the day, a few people experienced the separation of the fiberglass laminate from the wooden core of the limb. The issue has been fixed since then however, and it will not occur in any new Jaguar bow you purchase today. This is what it’s all about, isn’t it? We love our recurves for that feeling of complete freedom we get when shooting them, and for the knowledge that the arrow is completely dependent on us to reach it’s target. And you know what? 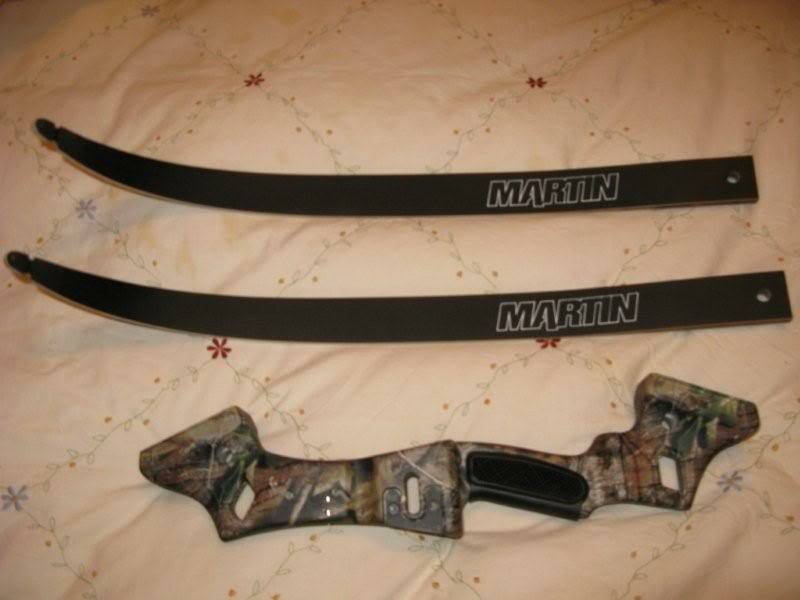 This is where the Martin Jaguar recurve bow shines the most. Aiming with this piece of equipment is a breeze, and most people actually find that it shoots and behaves just as well as way more expensive models. Your arrows will group really well even on your first attempt, and 20, 30 and even 40+ yard targets are no problem you’re a good shot. If you’ve ever shot a much more expensive recurve (in the $500+ price range), then you’ll be surprised by just how comparable the Martin Jaguar’s performance and reliability is to them. At 60″ and 2.7 lbs. weight, the Jaguar is very compact and easy to maneuver during a hunting trip – be it while on the move or when sitting in a stand or blind. If you get the 40 lbs. version and if your draw length is 27″ or more, you can easily take down a deer from 30+ yards if you hit the vital organs. For bigger game such as elk or black bear, you’ll probably need the 45 lbs. (or heavier) version of the bow. 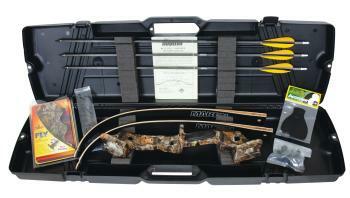 Overall though, an excellent hunting bow for beginner archers who are just getting into the sport. 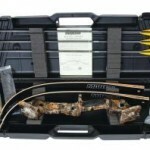 I strongly believe that this is an excellent buy regardless of your level of experience, and a particularly good buy if you are a beginner looking for a reliable, accurate, easy-to-maintain recurve bow. I recommend checking out Today's Amazon.com price on the Martin Jaguar. Have fun! 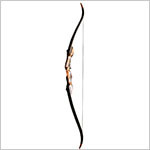 I am considering the Samick Sage in 25lb as a beginner bow. 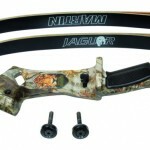 Have you looked at the Sage and why do you think the Jaguar is a better choice for a beginner bow? Both the Sage and the Jaguar will work great as beginner bows. However, Martin in my experience has better support and it’s easier to get replacement parts / help when required, hence my recommendation. I’m a beginner and was wondering whether to get the Martin Saber or the Martin Jaguar. 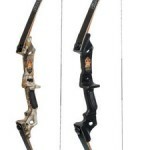 What is the difference between these bows? I am starting in traditional archery and am considering the Martin Jaguar. off the arrow shelf of not? Hi, I am completely new at archery and recently bought the Jaguar Takedown bow in a draw weight of 35lbs. I got some target practice arrows to go with it but I don’t think they are the right arrows. I have been reading about choosing arrows and it is really confusing me. 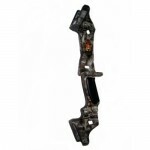 Do you have any suggestions for which arrows I should buy? My wife is interested in the new Eye25. Have you reviewed that one yet? Was wondering if it would be possible to use Samick limbs on the Martin Jaguar.